At the turn of the 20th century David Marshall leased a small workshop from Cambridge University and started hiring out and maintaining cars. Marshall Leasing continues this simple proposition to this day. 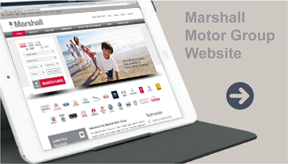 Today Marshall Motor Holdings PLC is a top 10 UK motor dealer group. Since 2008 the Group has restructured its dealership portfolio, operating over 100 franchise dealerships and representing 24 manufacturing brands. Turnover is in excess of £1.5bn per annum, and Marshall is the only motor retailer in the UK with top 5 prestige and top 10 volume brands, accounting for over 88% of the brands sold in the UK. Heritage and expertise, in fleet management and transportation, lies at the heart of our customer-focused operation. Marshall Leasing is an integrated vehicle leasing business positioned 26th largest fleet leasing company in the UK (2018 FN50). The business is service led and has been rated number one in the independent fleet eye customer survey for 2016. We also were voted ‘Fleet Service Company of the year’ in 2010, 2013 and 2016, and ‘Fleet Leasing company of the year’ 2017 by the Association of Car Fleet Operators (ACFO). In 2018 we were winners of Fleet News Leasing Company of the year up to 20,000 vehicles. Marshall Leasing operates a fleet of over 8000 vehicles with a net book value of over £100m. Throughout the years our journey from fledgling company to award winning national fleet operator has been charted by the current senior management team. Our heritage and experience in fleet management and finance lies at the heart of our customer focused operation. The world of fleet management and funding is, by its very nature, bank and manufacturer dominated. Far too often the customer relationship is seen only in terms of contracts and profit. We believe that customer loyalty should be our prime objective. Our outstanding customer retention can be directly correlated to trust. We focus on building an open, supportive and honest working partnership where the objectives are always to deliver on your expectations and retain your valued custom. We believe that if we look after our clients they will stay with us. We provide bespoke vehicle management and finance solutions to a host of blue-chip clients. The business benefits highly from exceptional staff retention levels and a long-established management team. Headed up by Peter Cakebread (ex BVRLA Chairman) and fellow directors Jonathan Ross, Richard Baird and Phil Targett, the Marshall Leasing senior management team have each been with the business for over twenty five years. "Our partnership with Marshall Leasing has not been based purely on price but, more importantly on ease of use, simplicity and the way Bobst drivers are supported. I have no hesitation of recommending Marshall Leasing and look forward to working with them for years to come". Upholding the highest standards of integrity and fairness. Putting our customers above all else. Maintaining competitive edge through innovation and creativity. Recognising that people are at the heart of our success. ​Over the past few years as investment returns have diminished in a world of low interest rates, the value of classic cars has rocketed. Maybe these vehicles are just museum pieces and like many masterpieces will seldom get an airing. Marshall Leasing’s Richard Baird has been promoted to the position of New Business Development Director. We at Gratte Brothers have run our own fleet for 60 years. We believed however with all the new legislation that has come into force that we needed more professionalism. Being cash rich and with many good contacts that we had built up over the years we didn't want to go Contract Hire. Also with the type of Industry we are in it is very difficult to assess Period Mileage. With all this in mind we decided to pick an organisation to manage the fleet and transport legislation leaving us free to buy and sell our fleet as we saw fit. We initially went out to five companies, short listing this to two and then choosing Marshall Leasing. It has been an interesting and exciting project and one that has gone very well. We budgeted transport costs over one year and Marshall has beaten these. Paperwork has been reduced to a minimum saving us all the invoices we used to receive on a monthly basis. We have changed the staffing from one Manager down to one Supervisor. It has also given us peace of mind with updated transport Policy Documentation.